Connecting travelers who have extra luggage space to people with shipping and shopping needs. 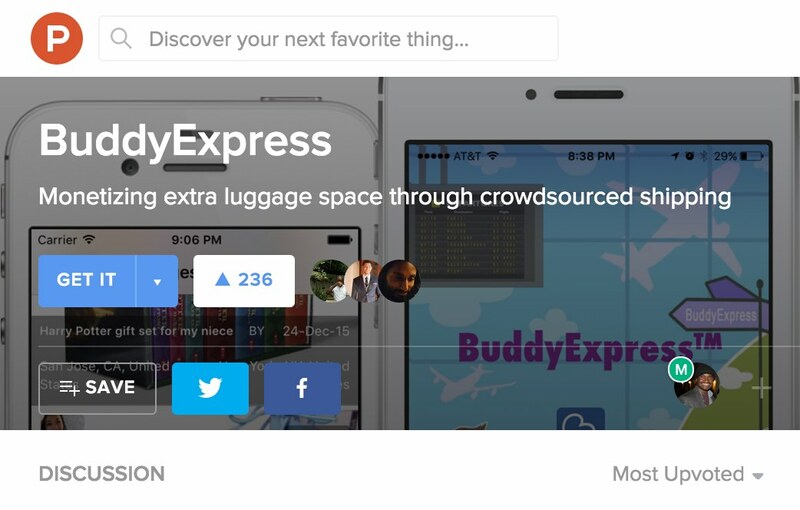 BuddyExpress matches travelers with extra luggage space to senders who need to send packages along the same route. Traveler and sender negotiate a delivery fee using BuddyExpress. Payment information is provided to BuddyExpress as collateral. Traveler carries package to destination and gets confirmation code from recipient. BuddyExpress transfers payment to traveler on successful confirmation of delivery. Much cheaper than traditional shipping options. You negotiate your own delivery fee. Expanded, personalized shipping options to anywhere someone travels. Anytime. Only pay if package is successfully delivered. Get reimbursed if your package is lost or damaged. Make money by carrying packages you're comfortable with. Want to travel somewhere nice for free? Just find enough packages to deliver to cover the cost of your trip. 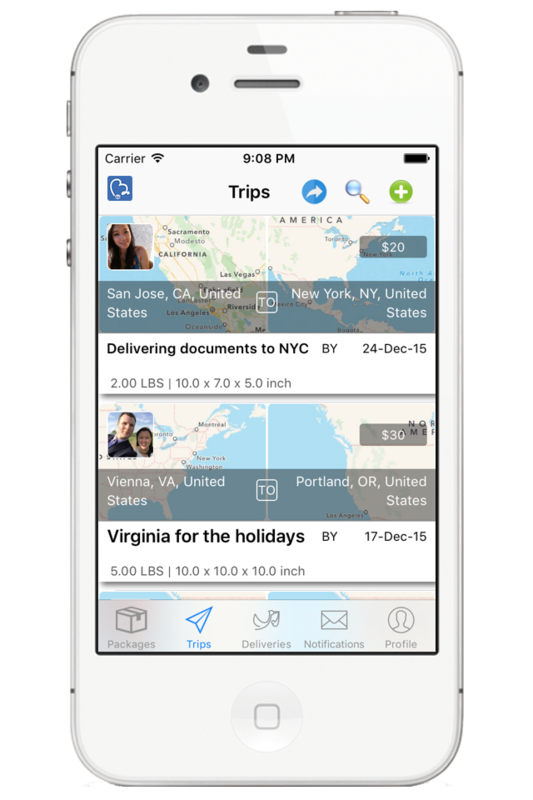 Make it easy for friends and family to know when you're traveling and can help deliver packages. How do I make sure packages are safe to carry? Travelers should use discretion in choosing packages to carry. Do not carry sealed packages without first inspecting them. After inspection at pickup, only agree to carry packages you're comfortable with and politely decline all others. 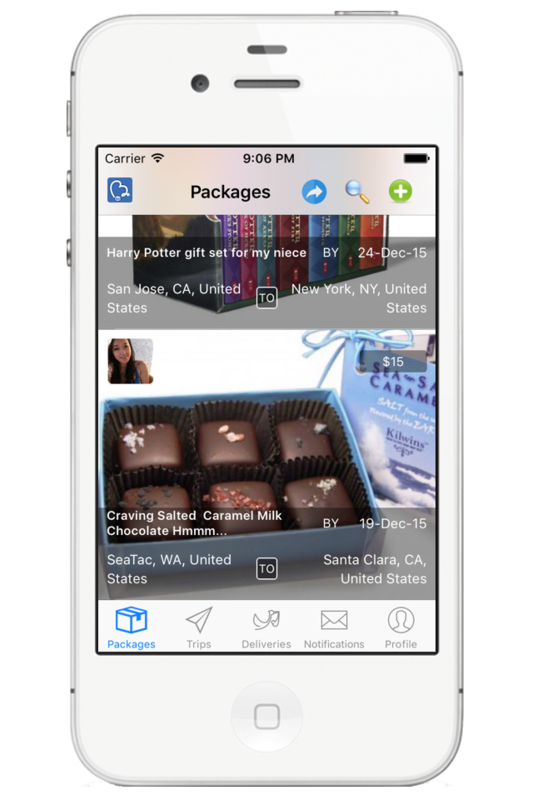 The app also lets you limit the types of packages you want to carry to safe items such as documents. Is it legal to carry packages for others? Whether carrying packages for family or friends, be sure to comply with all the rules, regulations and restrictions of your state and country. Properly declare packages at the airport so that the TSA (or relevant authority) can screen and inspect for your own protection. How do I get paid for delivering a package? Be sure to get a confirmation code from the recipient or sender when you deliver the package. Payment will be released to you when you enter this code in the app. What can I use BuddyExpress for? Shipping - You can use BuddyExpress to ship packages to others. FedEx too pricey or can't deliver on time? Try BuddyExpress! Shopping - You can also use BuddyExpress to order items and have them delivered to you. Craving that special item from your hometown? Amazon doesn't deliver to your country? Try BuddyExpress! How is my package protected? What if my package gets lost or damaged? Specify the monetary value of your package if you would like the traveler to provide collateral for it in case of loss of damage. Expensive packages, however, are less likely to attract travelers unless you offer a higher delivery fee. We do not recommend sending irreplaceable items. How do I pay a traveler for delivering my package? BuddyExpress accepts all major credit cards. Your card is only charged on successful delivery of your package when you, or the recipient, provides a delivery confirmation code to the traveler. Featured on Product Hunt - Most Upvoted.